Small clump-forming alpine perennial. Keeled, hairy, greyish-green leaves and shell-pink flowers in summer. 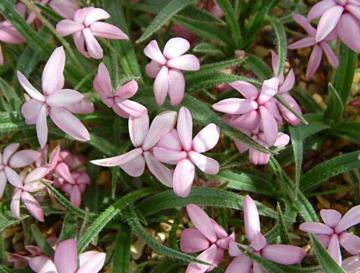 Hybrid derived from Rhodohypoxis baurii.